This is exactly like you thought it would be, isn’t it Mets’ fans? David Wright and Jose Reyes ending their careers in lockstep over a decade later, manning the left side together as they ride into the sunset after delivering multiple titles and stealing the city from the Bombers…. Well… not exactly. This was a shotgun wedding. But either way, it is pretty crazy isn’t it? For Mets fans under 30, the Wright and Reyes era is the only one the Mets were relevant in, outside of that late 90s/early 2000s core that got smoked by the Yanks in the 2000 World Series. Now Jose, and his tats, and his dreads, and his magic..everything is BACK! 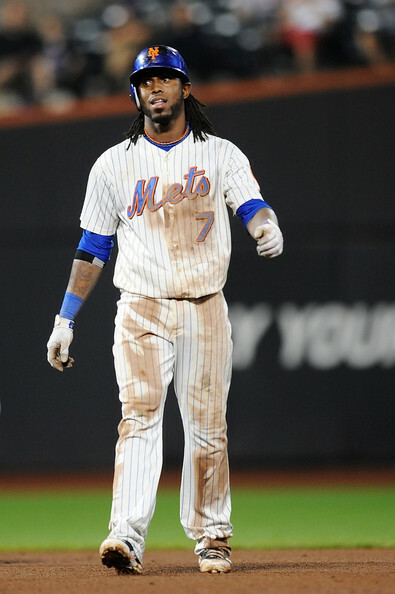 All things considered, the Mets were right to let Jose walk in the winter of 2012. He got 6 years/$106 million from the Marlins, and the team had not resigned Wright yet…Madoff…we get it. They even looked brilliant for ONE year, as the since departed Ruben (who is for Scuba) Tejada hit 2 points higher than Reyes (.289 vs .287) in 2012. As the league started to figure Ruben out, which they did fairly quickly, he proved to be a bench player ill-suited to get 500+ plate appearances per year. Wright, bless his poor soul, is not playing baseball for a long, long time. 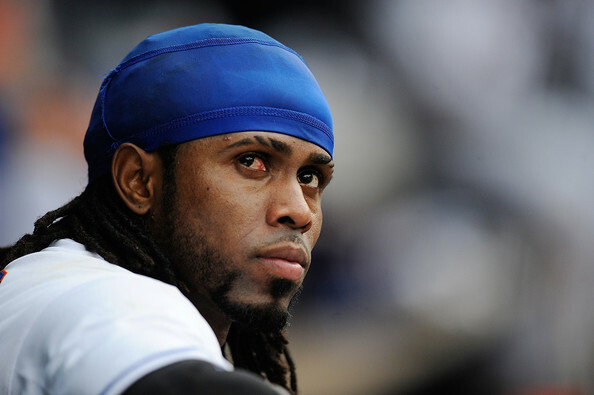 There is no guarantee he will hit the field with Jose at all, so romanticism may not play a part here. While we do not know when they will suit up together, let’s look at the facts, and the fact is that Reyes is still a major league hitter. If you look at his numbers, he played full time and was an above league-average offensive player (as per OPS+) as recently as 2014. This should hopefully immediately improve the Mets as they do not have very many healthy major league hitters right now. As far as where he plays, remember that New York made him (a 19 yr old kid at the time) switch positions and play 2nd base…in order to accommodate the immortal Kazuo “Kaz” Matsui. So we know he’ll play there a little bit. Walker has over a full seasons worth of experience at 3rd. So far, I am pretty sure every Mets fan has approved of Asdrubal so far at Short, but he’s also played 2nd in his career. So regardless of how Terry Collins decides to draw up the lineup card, he should have plenty of options on the infield. Where will Jose Bat? Wherever. The Mets are not tied to him in any meaningful way financially, he’ll be on the veteran minimum, with the Rockies picking up the overwhelming majority of the $39 million left on his contract. He can be waived effortlessly and without repercussion if he doesn’t hit, and proves to be useless. Personally, I want Jose to start out batting 7th or 8th, if he starts at all. That would be sending the right message, since he hasn’t earned anything yet. More importantly, it would be less pressure on him than batting leadoff or in the 2-hole where more at-bats in higher pressure situations could stunt his assimilation back into Gotham. Jose has not shown to be the most headstrong, as we know , so easing him into the lineup would be the smarter play. As far as the Domestic Violence issue, there is obviously no excuse for his actions. It is obviously horrible and has no place among men. Literally one of the first things you learn about throwing fists with your Dad is “don’t hit girls, just don’t son”. Very Bad. I think we as sports fans oftentimes trivialize DV because it seems to be so commonplace. We obviously should not, and we must also realize that in many ways these women are trapped, bound to these men for support. Jose, by all accounts, has treated his wife and 6 children very well outside of this incident that cost him the first 60 games of the 2016 season, but the impact of those actions in his second chapter in New York remains to be seen. What this ULTIMATELY comes down to is this: How much does Jose Reyes love baseball and how badly does he want to get one more payday despite already being a rich man? He is signed through 2017 with a club option for 2018 that will take him through his age 35 season. Beltran, another former Met already stationed in the big apple has shown a zest for life and a youth throughout his late 30s and says he wants to play forever. At 39, that man will indeed be getting another contract. Does Jose want to work that hard? He is 33 right now, and I suppose time will tell. For the Mets this was a no-brainer move, harking back memories of an era once thought to be dead and buried. He costs nothing and will come into the season needing to prove that he is still worth the reputation he has conjured over the years. Worst comes to worst, he becomes a utility player/pinch-runner until season’s end and looks for a new home elsewhere in the offseason. However if he can keep his head on straight and begin to produce, reliving the glory days of his past times in Queens, the Metropolitans may have found a steal and a huge piece of the puzzle in their quest to return to the World Series.